(1/2/15) - Saying goodbye, why is it sad? I'm leaving links to the very latest source javas. Squickens files are from 1.6.4 but probably don't need much changing. The model swapper files are not standalone, they are core class modifications. There are some fancy things in the unofficial APIs that can probably be used to insert the code at runtime and make the model swapper more compatible. Someone who knows what they are doing should able to very easily get them working in any version, and probably better than I ever could. You don't need it! Please feel free to include the mod in your mod packs! 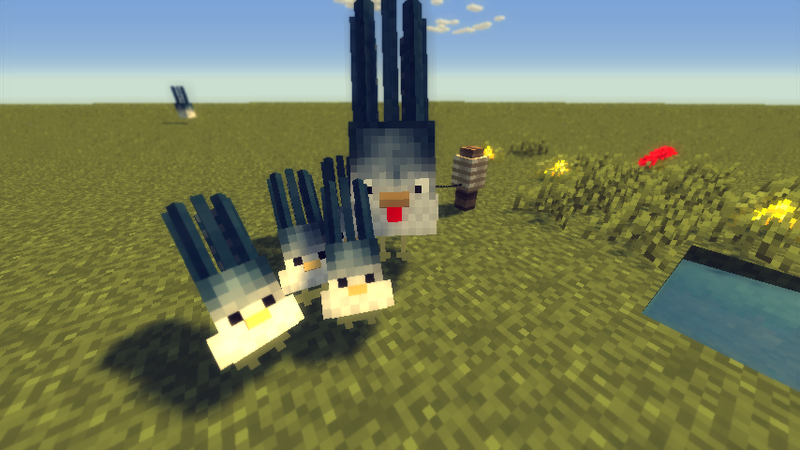 So thats what chickens and squids look like when they cross breed? Like a chicken that has a really bad hair day due to sticking their finger in the light socket haha. This is hilarious. Thank you for updating this mod. 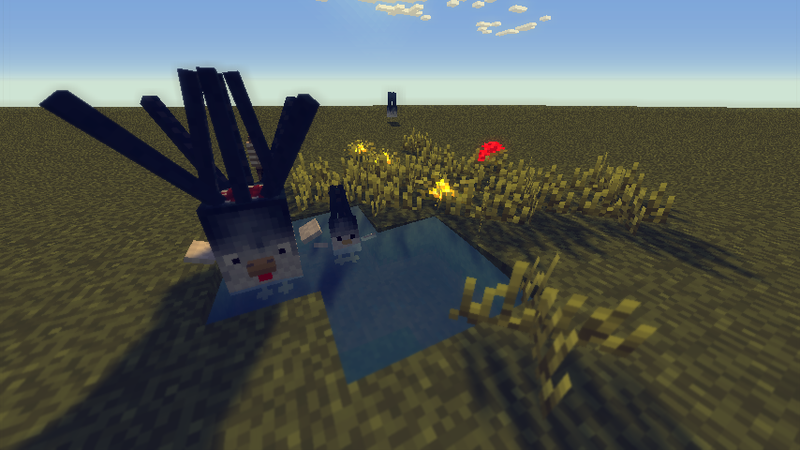 Could you also update cocoavalley's Baby Animal Model Swapper mod? Thanks. Location: In a dragon cave counting loot! Squicken found in the real world! I have found that finding Squicken are incredibly hard and rare, so my request would be to add an achievement for finding one!